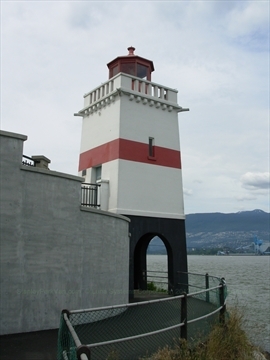 The Brockton Point Lighthouse is a lighthouse on the north east corner of Stanley Park. The first Brockton Point lighthouse, built in 1890, alerted ships to shore-related dangers and warned them of impending storms. The lighthouse keeper was busy: he had to run the fog bell, keep the lanterns lit, fire the Nine O'clock Gun, and hoist signals up the storm warning mast 182 metre off of Brockton Point. A wicker cone was hoisted up the mast if a westerly gale was forecasted and a wicker "pot" was added for a heavy gale warning. Decommissioned in 2005, the lighthouse no longer serves as a formal aid to navigation. During his tenure as lighthouse keeper, Davy Jones rescued many people within the harbour. In 1907, the Canadian government awarded Jones a gold medal for his rescue efforts. Jones lived in a cottage on the lawn across Park Drive until 1930, where he used his excellent gardening skills to raise flowers for the Military Hospitals Commission during the First World War. The cottage was torn down during the 1950s after the light's automation was the onset of modern ship navigation ended the need for a keeper. The lighthouse was planned with a boathouse at its base, but strong tides made this impractical. The boathouse was then built to its eastern side, with a metal door as access. 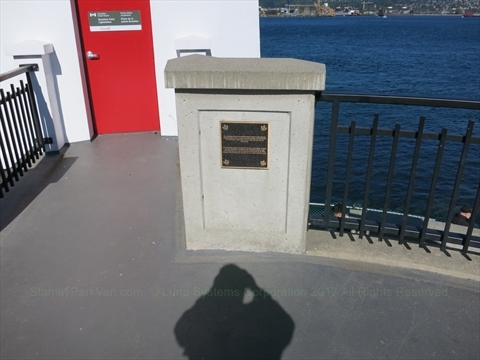 In 1859, Francis Brockton, a senior engineer on the HMS Plumper, found a vein of coal in what is now Coal Harbour. In honour of this discovery, the ship's captain named Brockton Point after him. Imagine working as a lighthouse keeper in Stanley Park when many marine mammals used these waters. 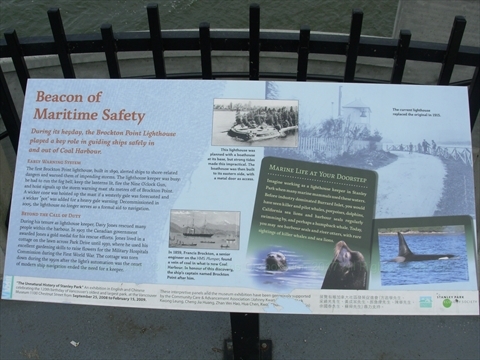 Before industry dominated Burrard Inlet, you would have seen killer and pilot whales, porpoises, dolphins, California sea lions and harbour seals regularly swimmig by, and perhaps a humpback whale. Today, you may see harbour seals and river otters, with rare sightings of killer whales and sea lions. 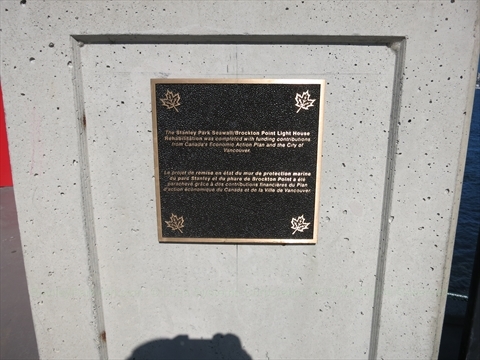 The Stanley Park Seawall/Brockton Point Light House Rehabilitaion was completed with funding contributions from Canada's Economic Action Plan and the City of Vancouver. 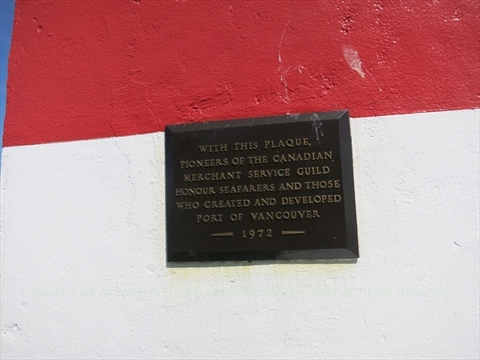 Where is Brockton Point Lighthouse in Stanley Park? The Brockton Point Lighthouse is located on the Stanley Park Seawall at Brockton Point. Nearby is the Chehalis Monument.